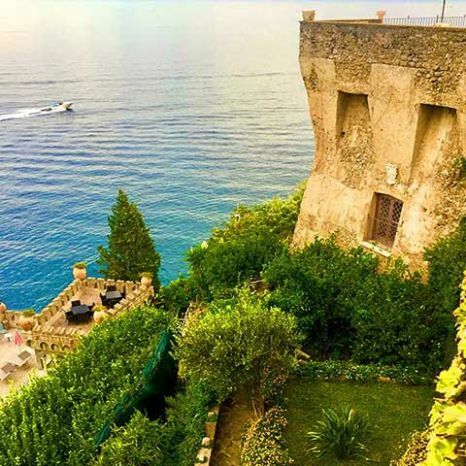 Glicine is a superb accommodation for two people, located between the Tower's gardens of the Villa Scarpariello Relais and accessible by a lovely path surrounded by beautiful flowers and plants. Wisteria (the English name of this room) is a hardy and fragrant plant which grows freely here in the warmth of the sun. 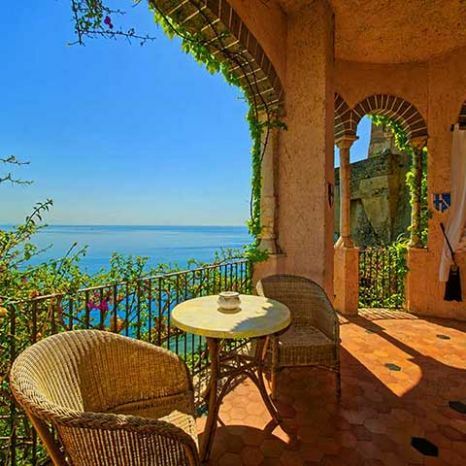 This delightful room enjoys the sun's glow which enhances the wisteria growing all around. 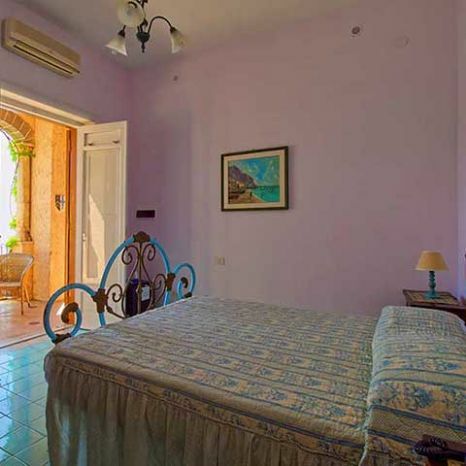 It is a cozy double room in a fabulous location. The interior area is decorated with great attention to detail and gives a relaxed atmosphere which permeates from the outside. 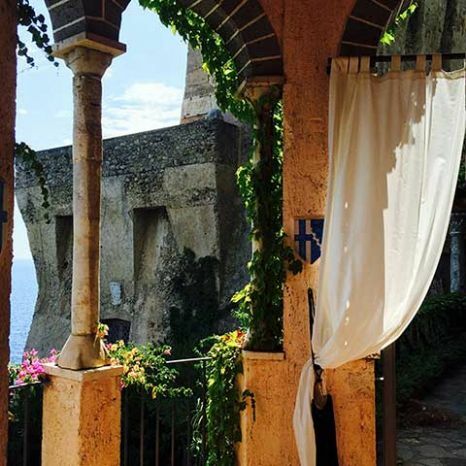 Glicine is decorated with classic furniture and comes with a private balcony built with arches and columns, giving a view of the sixteenth century Tower. 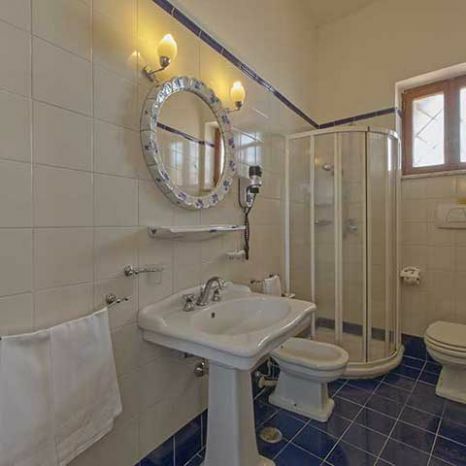 The bathroom is decorated with lovely blue Vietri Majolica tiles. 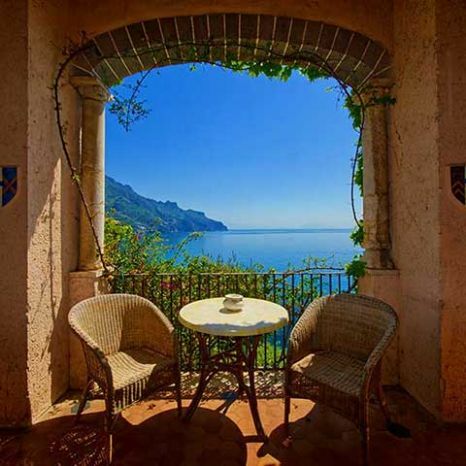 A Bed and Breakfast in Ravello? 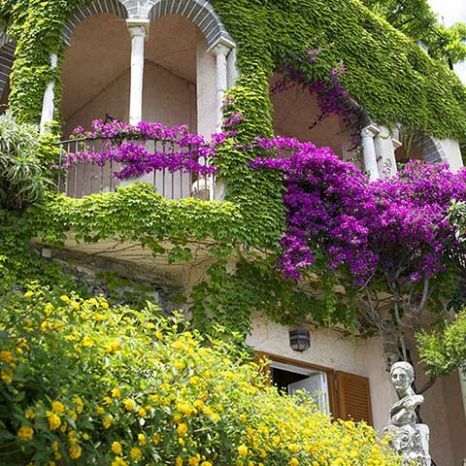 Discover the rooms of Villa Scarpariello! 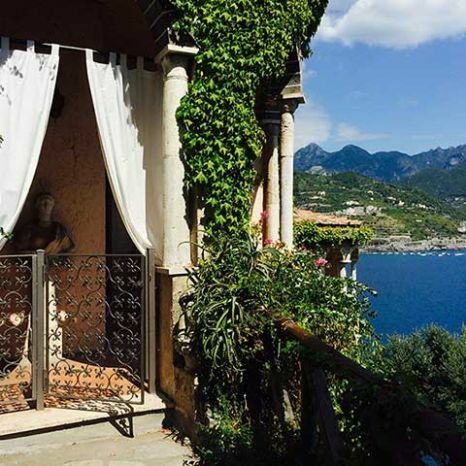 Villa Scarpariello Relais is a historic castle with charme offering double rooms, suite and apartments. All sea view accommodations are perfect for couples, families and groups of friends looking for holiday in a secret paradise. You can reserve Glicine room from saturday to saturday. For best weekly rates see below.